You may not have known that Heinkels were built in Argentina. Apparently 2000 or so were built under license in the early 60's. 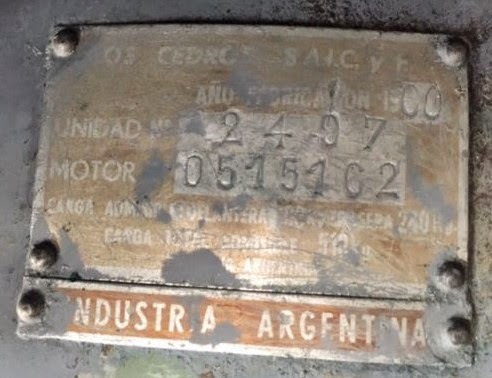 A Heinkel in California recently sold on eBay that was originally from Argentina. The seller sent me some photos including one of the VIN plate. A little different than the black on silver ones we're used to. The car also had an ampere meter instead of a clock. It's interesting what different manufacturers think are important. The car has a new home in Florida. Maybe we'll see some pictures of the restoration in the coming months.